Very comfortable and quiet on the motorway. Up to 2200kg braked towing limit. Huge boot and lots of rear leg room. Refined TDI engine is reasonably economical. Quite a lot of body roll in the corners. More powerful 190PS engine is DSG only. Expensive list price when new. 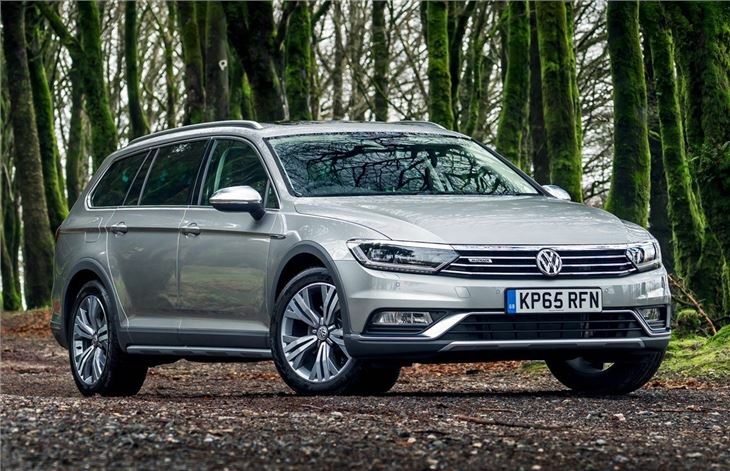 If you want an upmarket family estate, with a generous helping of all-road capability, then the Passat Alltrack will be the car for you. It's refined and easy to drive, while its cavernous and high-quality interior make it perfect for tackling wintery roads in comfort. 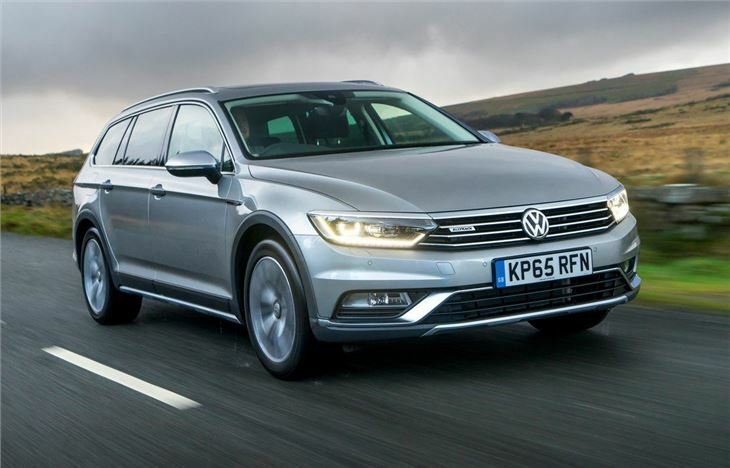 The Volkswagen Passat Alltrack sits in the same niche category as the Audi A4 Allroad and Skoda Octavia Scout. 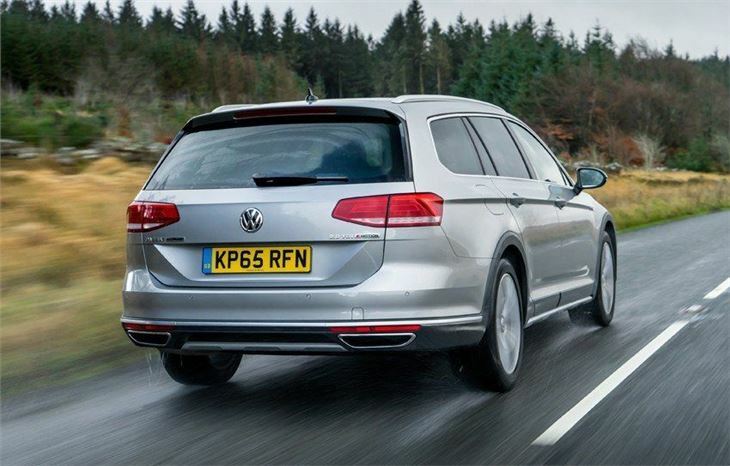 Like its Volkswagen Group stablemates, it gets four-wheel drive and all-road suspension, which is slightly stiffer than the standard car to make it suitable for navigating everything from icy roads to muddy fields. There are just two versions available, both with 2.0 TDI engines, and the cheapest is the 150PS with a nice shifting six-speed manual. With 340Nm of torque it has plenty of pulling power yet economy is still decent with a claimed 57.6mpg - Real MPG would suggest you'd be seeing around 80 per cent of that in real life driving. The Alltrack isn’t designed for serious off-road work, but for rough tracks, muddy fields or wintery B roads, it's more than capable. It also boasts an impressive towing capacity of 2200kg - more than the A4 and Octavia equivalents - making it ideal if you have a horse box or caravan. There's also a very good Trailer Assist system - a £475 extra - which will reverse a trailer automatically at a preset angle. 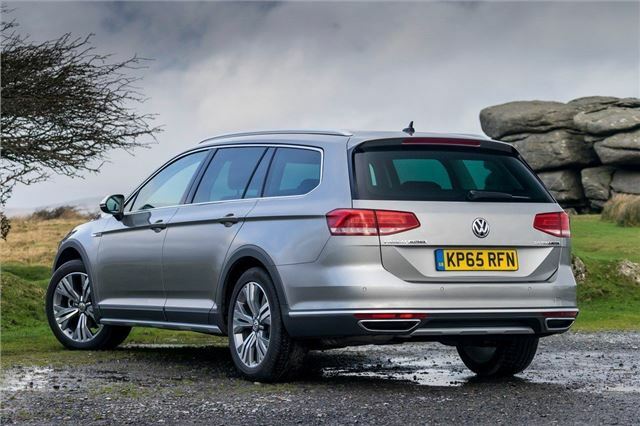 The top 2.0 TDI model has 190PS and only comes with a seven-speed DSG gearbox, however, owing to its hesitancy in the lower gears, it's far from the best automatic on the market. It also carries a hefty £3000 premium over the 150PS version. 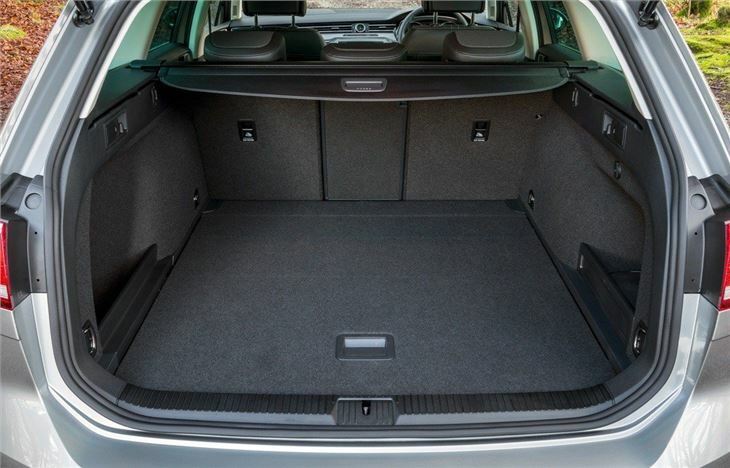 To try and mark it out from a standard Passat, the Alltrack gets a slightly raised ride height for better ground clearance plus, chunkier bumpers and wheelarch cladding plus a sump guard to stop rocks damaging the underneath. 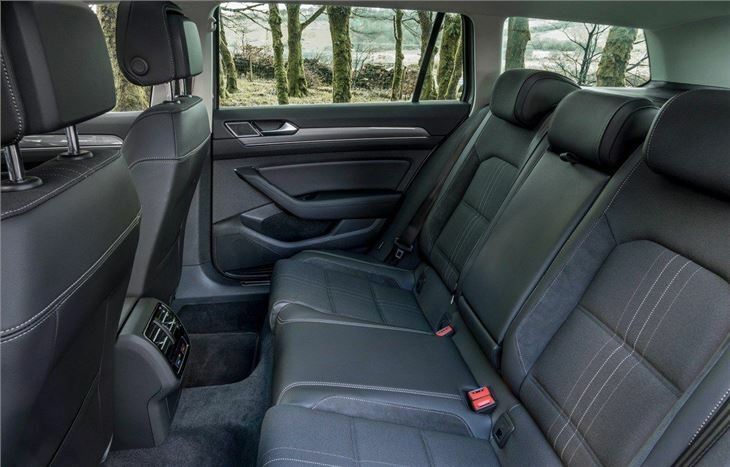 But essentially it looks very much like a standard Passat Estate. It also drives like one with too, although the raised ride height and stiffer suspension does make it susceptible to pitching heavily, from side-to-side, when tackling sharp bends or small roundabouts. However, that said, the four-wheel drive system is more than up to the task and always feels safe and secure, with plenty of grip. If you want a four-wheel drive Passat this is the only model available. 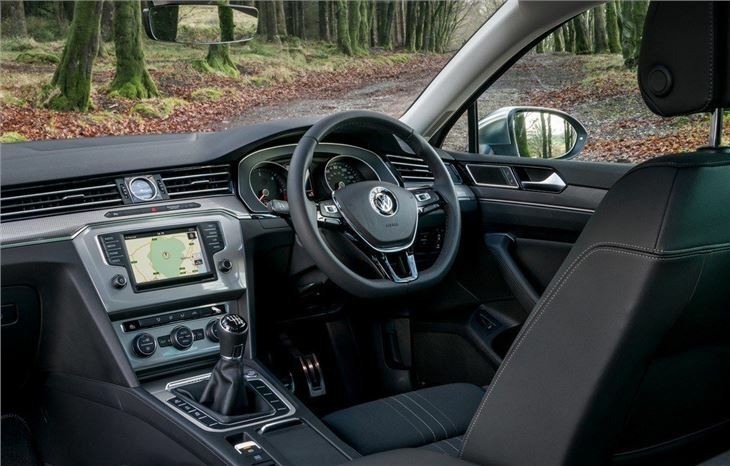 However, it does come at a cost, so although the Alltrack is well-equipped with things like navigation and adaptive cruise control as standard, it's still expensive with a starting price of more than £31,500.